An International Holocaust Remembrance Day program featuring Julie Kohner, founder of Voices of the Generations, and Spertus Professor of Holocaust Studies Dr. Elliot Lefkovitz will be presented tonight at 7pm, at the Spertus Institute in Chicago. 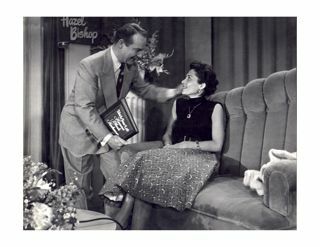 The original episode of This Is Your Life, Hanna Bloch Kohner, will be shared with the audience during this program, along with artifacts from the show. The program will also include conversation about the importance of this TV segment in the American understanding of the Holocaust. For more information, please see the Spertus Institute web site.